Daniel and I are no strangers to travelling to faraway locations for photoshoots; and since the birth of our son Max, we have several thousand photos to prove that we have also become quite used to photographing the every day life of a child! Travelling halfway around the world to photograph a family, however, was a first for us. 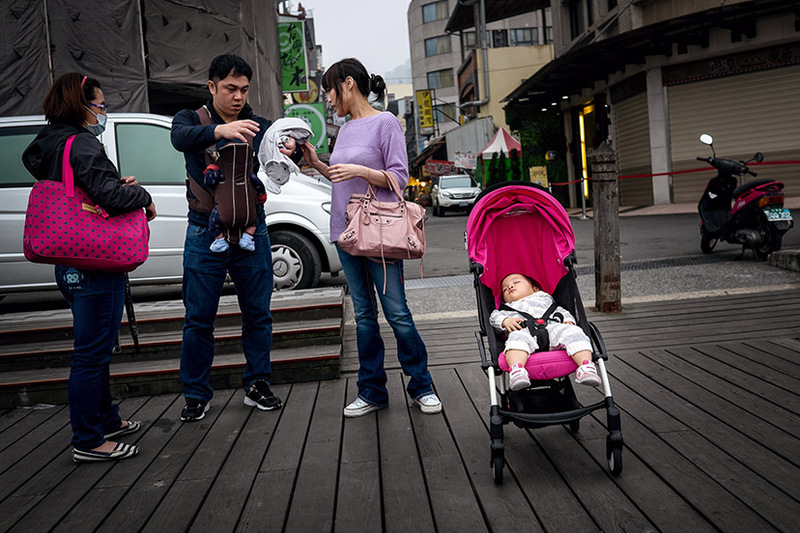 When Lily contacted us to see if we would come to Taiwan to document a weekend in the life of her little family, we were so excited to take on a different kind of photography assignment, and one that we felt was very much up our alley. For 3 days, we joined the Lee family on their family vacation; driving several hours from Taipei to Sun Moon Lake in central Taiwan, making pit stops along the way to grab a bite and stretch our legs, wandering around the park, and taking a boat trip around the lake. We didn't need to speak the same language to get a sense of little Esme's dynamic personality, or to know that she is a daddy's girl through and through. We observed little Flynn, who at only a few months of age is mellow and quiet, and seems content to leave the spotlight to his sister. There were naps in the car, diaper changes, and a few meltdowns; real, every day stuff that we photographed for this family to look back on fondly. And you know what I love the most about all of this? These real moments, as we photographed them, all made Lily and Ray's album selection. At the heart of it all, of course, is the love described by Emery in the quote above. Love, in it's truest form, the kind of love parents have for their children. A new love I personally experienced when I became a mother; a love I still struggle to put into words. Attempting to capture this love for the Lee family in Taiwan, through the "thousand and one actions," was an unforgettable experience and we look forward to documenting this family as they grow. Lee Family, thank you for inviting us to Taiwan and for opening yourselves up to us and our cameras. See you at Disney World!